Stephen and I were down in Key West recently and found that key limes were an ingredient added to just about every food item we came across. As we strolled down Duval Street, I stopped in food shops and noshed my way through the afternoon. One cookie I tried stuck with me. It was like a Snowball Cookie (think Mexican Wedding Cookie, but a bit sweeter) but had, you guessed it, key limes in it. As I ate it, I thought to myself, this is delicious but why buy these when I can make my own instead. So as soon as I got home and found a free afternoon (or made the time, your pick) I got to work. I have a Snowball Cookie recipe that I have used for years and love. Why reinvent the wheel when I can tweak it instead? I added some key lime juice and zest and baked away. I loved the cookies, but felt that I may be a bit biased on the subject so I had to reach out to friends for opinions. What better way to accomplish this than facebook? I posted “Just made a Key Lime Snowball Cookie and need tasters. Whose around?? ?“ I am very pleased to report that I got a lot of responses. My first one was from a friend who simply wrote “Me! Me!” I have great friends. So I drove some cookies over to Me, Me’s office and then headed to the mall. After all, it is the week of Christmas and Hanukkah and I knew I would find friends shopping at the last minute. Sure enough, I started calling some people I know, hunted them down and by the end of the day, all the cookies were gone. The reviews were fabulous which means either I have friends who think they will hurt my feelings if they tell me that they do not like something I bake (which is a cardinal sin in my book) or they truly loved the cookies. I chose to go with the latter option since I really do like my friends and have confidence in their ability to give me their honest opinions. Before I shared the Key Lime Snowball Cookies with friends, I told them what they were, allowing friends who do not care for key limes to pass on being one of my human guinea pigs. I did not do this at home where my family digs in to any and all homemade goodies. Any doubts I had about whether or not the key lime taste would be recognized without forewarning were cast aside as soon as Shoshana, who loves Snowball Cookies, tried one. Shoshana ate one of the cookies and said, “It’s like a Snowball but with key lime in it.” When my 16 year old can nail it, I know my job here is done. ¾ cup confectioners sugar for rolling at the end. Cream the butter and ¾ cup confectioners sugar in a large mixing bowl until smooth, about 2 minutes, scraping down the bowl a couple of times. Add the key lime zest and juice. Add the flour and salt and mix on low speed until nearly all is incorporated. Add the pecans and continue to mix until blended, about 30 seconds. Form the dough into a ball and refrigerate in plastic wrap for 1 hour or overnight. Use a 1½ teaspoon measuring scoop to form balls of dough and place onto parchment lined baking sheets. Bake at 325° for 14-17 minutes. They should not be brown, but will be firm when lightly touched on top. Remove from oven and allow cookies to sit on the baking sheet for 3 minutes. 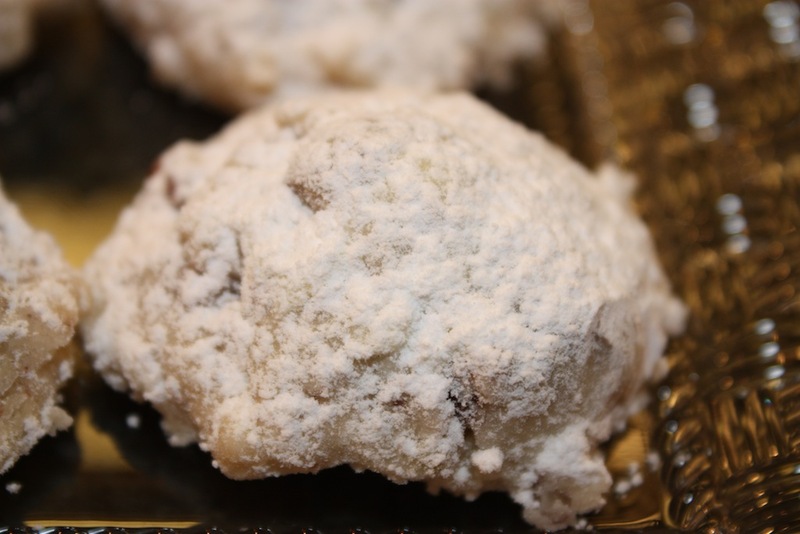 Take one cookie at a time and roll in the additional confectioners sugar. Let cool completely on a cooling rack. Store in a sealed container with wax paper in between the rows. Zest the key lime before juicing. If you do not have a small measuring scoop, use a measuring spoon instead to scoop the dough into balls. Key Lime Snowball Cookies may be frozen. Reroll in confectioners sugar, if desired before serving. There is additional time needed for the dough to rest in the refrigerator. These sound easy to make and delicious – a great combination! Any time you need a taster, please think of me. 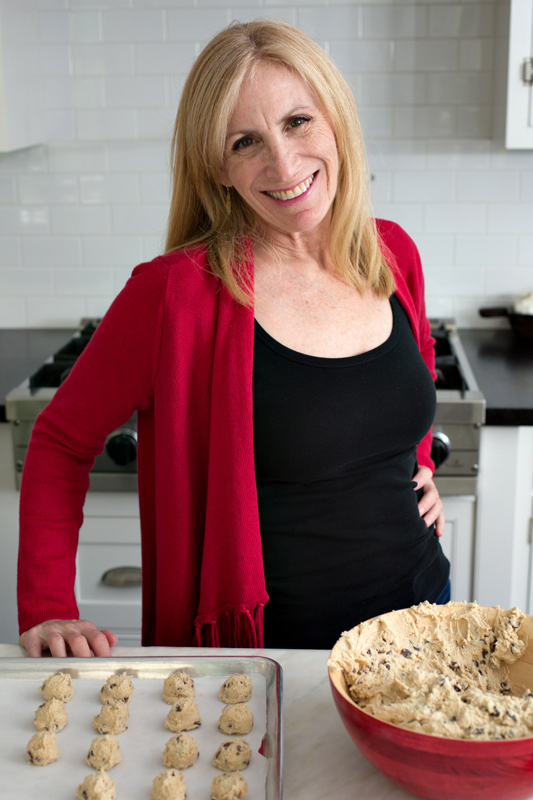 I live just down the block from you and would love to be your guinea pig for these fabulous recipes!